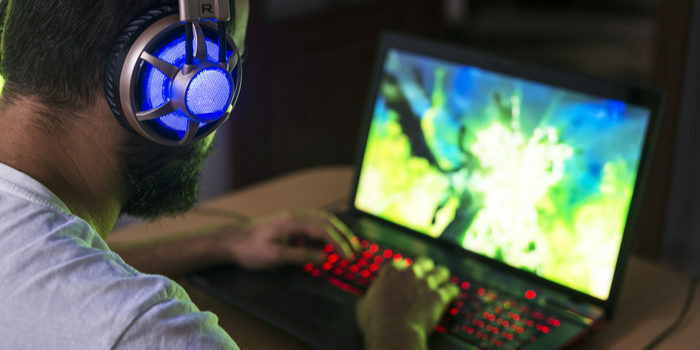 Anyone who has ever considered getting into PC gaming might have been immediately scared off by a few things. The first thing, of course, is just how complex it can be to build you own gaming rig. The second thing is just how expensive it can be to purchase a pre-made gaming computer. In order to help you avoid both of these issues, today we’ve got a few of the best budget gaming laptops on the market rounded up for you. Here’s how you can get into PC gaming on a budget and without having to learn how to build your own system! The G-series of Dell gaming laptops might not be as flashy as their Alienware subsidiary, but they’re rock-solid and well-worth the price. For an intro price of $800 for the G-5’s base model, you get a solid 4GB GTX 1050 graphics card. Such a card is more than capable to tackle most modern AAA titles. However, if you want some more power, you can upgrade to the 6GB GTX 1060 if you’re willing to pay $1,000. For those looking for something notably more powerful, a cool $1,200 gets you the RTX 2060, a much newer and very powerful graphics card. This slick-looking gaming laptop is more than just a flashy case. This brand-new budget gaming laptop will hit stores later in April, and it’s rocking some seriously cool hardware under the hood for its $1,000 price tag. Inside the sleek case, you’ll find a 6GB Nvidia GTX 1060 GPU, Intel Core i7-8750H CPU, and a 144Hz refresh rate 15.6-inch HD IPS display. It also sports 16GB of system RAM, making it a multitasking beast. This is all bolstered by the 256GB NVMe SSD, a blazing-fast storage solution with a surprising amount of storage. Lenovo’s Legion line of gaming laptops are all available for a sub-$1,000 price tag, and the differences between them are pretty nitty-gritty. The mean-looking Y7000 is our favorite on its silver-and-angry aesthetic alone. Regardless of your aesthetic sensibilities, these are some stellar laptops and you can’t go wrong with any of them. From the Y7000 to the Y530 to the Y730, you need only find a price point and specs you like in the mix to make these laptops well worth the low asking price.